You can now view the minutes of the School Council and Parent Association meetings held on October 26, 2009. 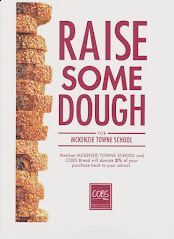 There is also a School Council page on the CBE's McKenzie Towne School website that you can always go to for meeting minutes. The next meetings are scheduled for Monday January 18, 2009 beginning at 6:30 pm. Location is in the new school! These meetings are a great opportunity to hear what's happening in the school, learn about fundraising initiatives and get playground updates. If you would like to become involved, we encourage you to attend the next meeting.